SoftPLC Corporation offices will be closed December 20 through January 1. We will be periodically checking info@softplc.com and support@softplc.com email and responding to requests for quotes, product information, non-emergency technical questions, etc. For emergency technical support or if you need an urgent shipment, call 512-264-8393. Combination Ethernet switch/ router, media converter, remote access modem, firewall/VPN, and serial device server. Protocol Converter includes Ethernet, serial and various field bus communications; multitudes of possible combinations, with up to 16 protocols in a single Gateway and support for up to 100 million registers. Includes Smart Netbox. Open architecture PAC (Programmable Automation Controller) suitable for small machine controls and RTUs as well as for sophisticated distributed process control applications. Extensive communications, rich instruction set, customizable functions, and more. Convert your existing A-B logic! Includes Smart Netbox and Smart Gateway. 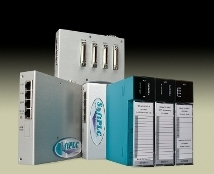 Remote Ethernet I/O Interface for SoftPLC's Tealware I/O system for SoftPLC controllers or other systems that support ModbusTCP I/O. Includes Smart Netbox. 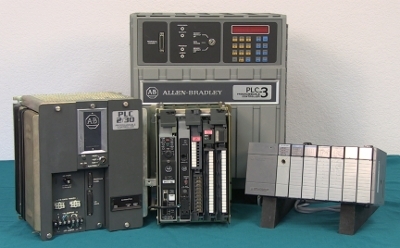 If you have any of these old plc's . . .
See how easy it can be! If you would like to receive this newsletter but are not currently a subscriber, simply send an email to info@softplc.com and ask to be added to our list! SoftPLC and TOPDOC are registered trademarks of SoftPLC Corporation. SoftPLC Corporation does not sell, rent, or give away any of your personal information. Copyright 2012 SoftPLC Corporation. All rights reserved.